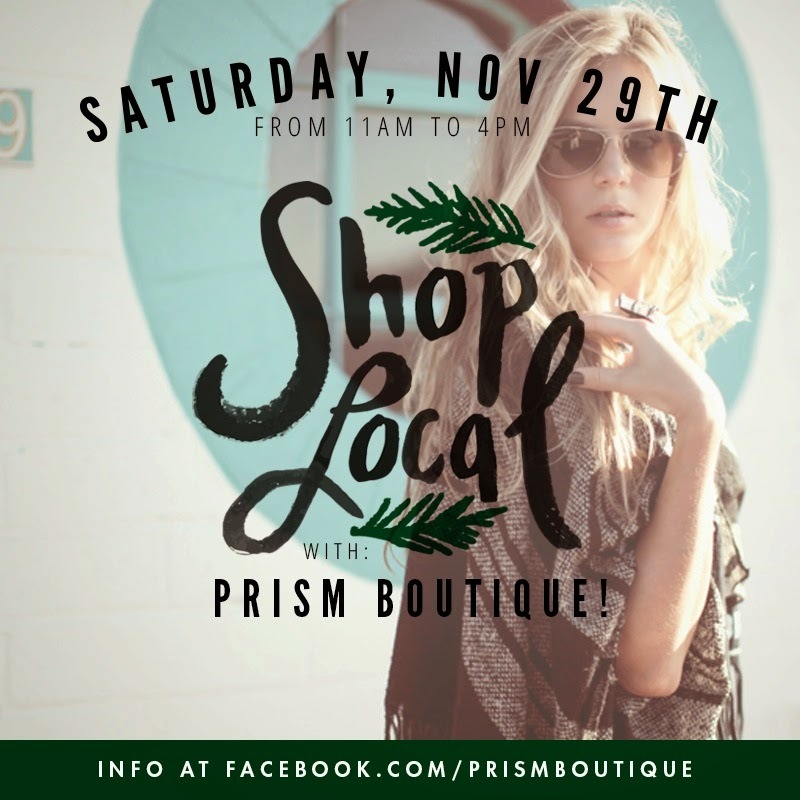 I'm excited to announce that I'll be at Prism Boutique on Saturday with my line 16th Colony for 'Small Business Saturday'. Sip on bubbly and snack on delicious cupcakes as you browse around. I'll have an entire rack of ponchos there in addition to what is already in stock at Prism. Not to mention, I've designed something major - hint: it's not poncho! I'll be debuting a brand new style that will be exclusive to Prism on Small Biz Saturday. Also, other amazing independent designers will be there with their goods. Including, Skydog Jewelry, Yiyi Mendoza Ceramics and Urban Botanicals. See you guys there!